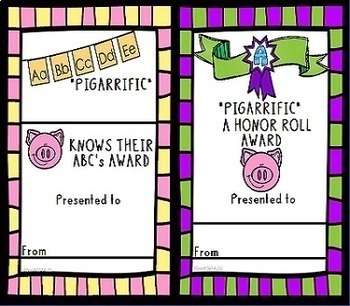 These classroom and school superlatives contains 60 colorful and unique 5" X 7" award certificates with bright colors and engaging pig theme graphics! Perfect for kindergarten and elementary classrooms. These awards will be keepsakes for sure! 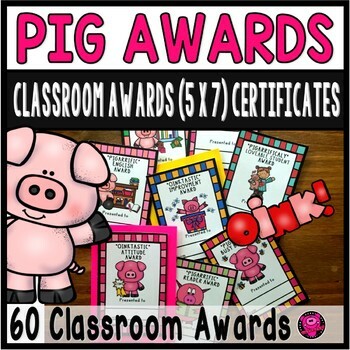 Click here to check out 32 of my PIG THEME products for your classroom and educational needs! 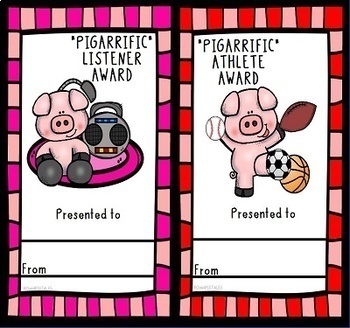 See preview for ALL Awards included in set. 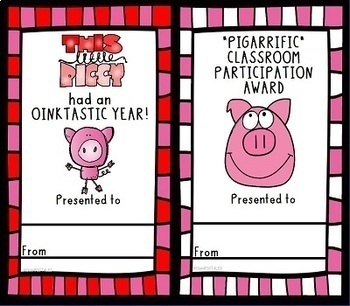 Be sure and click the links below to check out more of my Pig Theme Products I've recently added or updated!